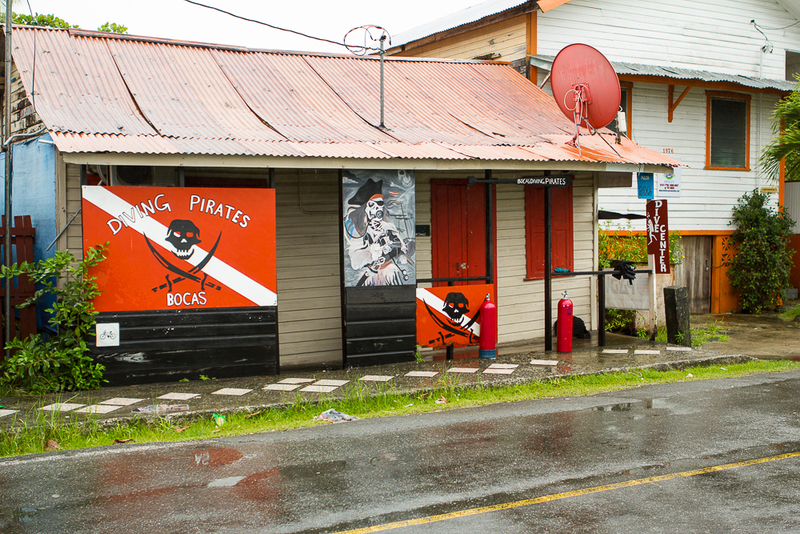 Street view of Bocas Diving Pirates in Bocas del Toro, Panama. 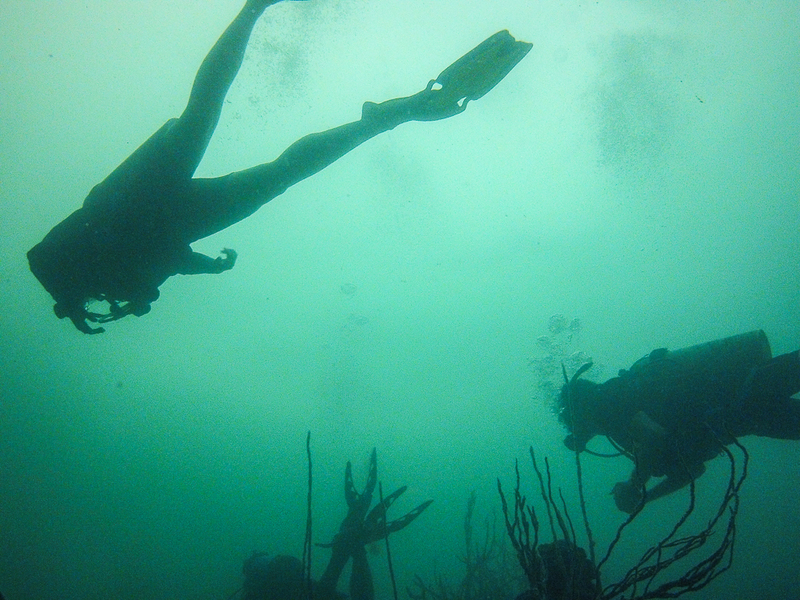 One of our goals in visiting Bocas del Toro was to check out the diving here. It had been several months since we had been diving so we were very much looking forward to the outing. 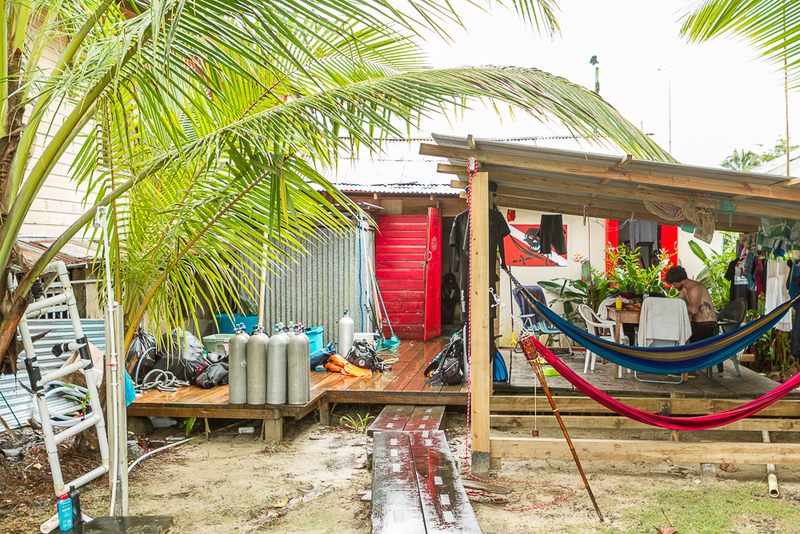 There are not a ton of dive shops in Bocas, but as we walked around town sticking our heads in the door and asking a few questions at different shops it was quickly obvious who we would be diving with. The young lady who greeted us at the door of Bocas Diving Pirates was knowledgable, enthusiastic, and honest about what to expect when diving here at this time of year. When we returned on the day we booked we met the owner, Andre Roy, who also was our dive master for both our days of diving with them. His enthusiasm and gregarious personality is what one would expect from someone who gets to do this for a living. View from the dock at Bocas Diving Pirates. During our two days of diving we were treated to an overcast dreary day and a beautiful sunny day. 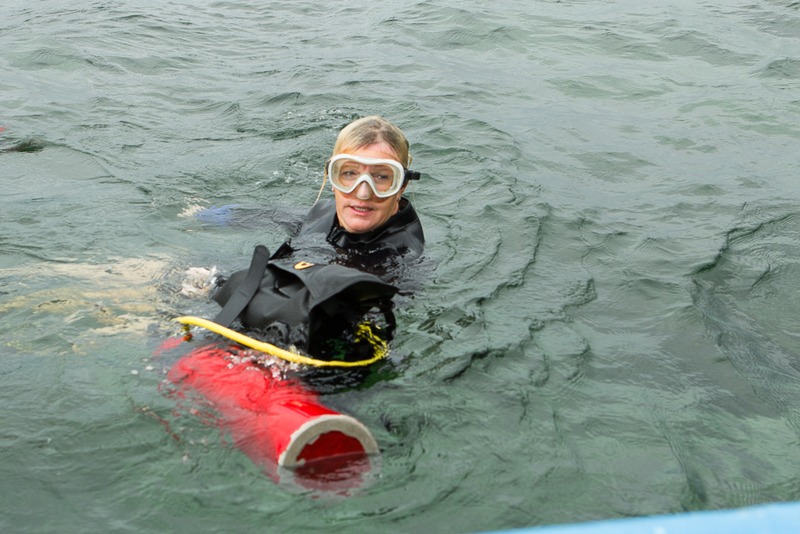 The thing that struck me was the enthusiasm for us to have great dives no matter what the weather was. The visibility was quite limited on the first day but Andre had the boat Captain take us to spots where we could still enjoy the dive despite the visibility. A little murky, maximum visibility was about 8 metres (25ft). Andre posing to give an idea of the size of the barrel sponges. 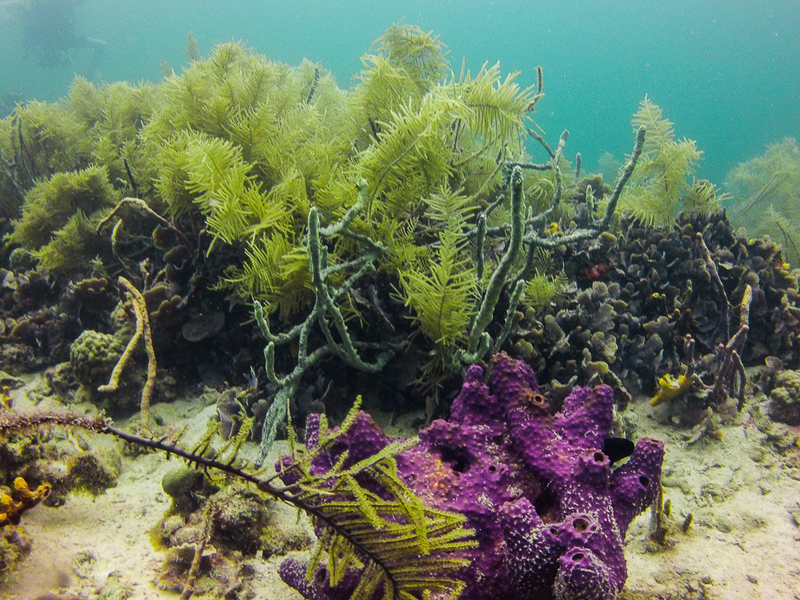 One of the wonderful things about diving here is the diversity and colour of the coral along the bottom. 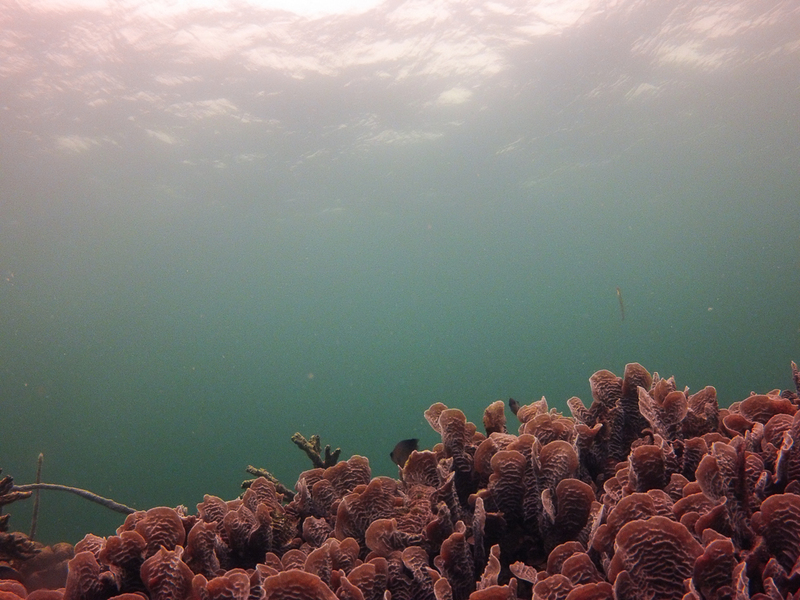 We never went deep, as the visibility made it so there was nothing to see, but at 8 – 12 metres it was awesome. Our group consisted of Karen, Andre, and myself, so we were able to drift slowly along and take the time to enjoy the beauty that truly surrounded us. An incredible variety and range in colour of coral. Peaceful beauty while hanging out in the shallows. 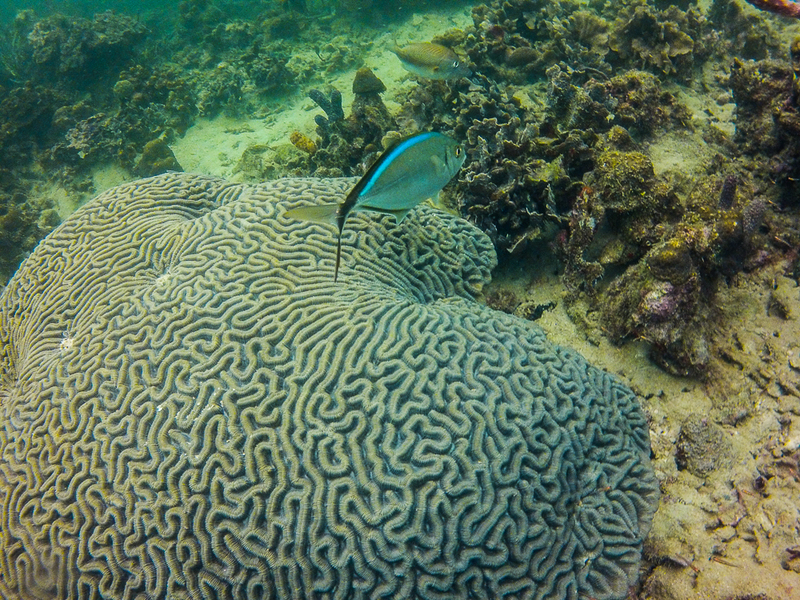 Lots of reef fish around the coral. Something to see everywhere you looked. Our second day of diving is what people think of when they think of diving. The sun was shining, visibility was better and the sights endless. 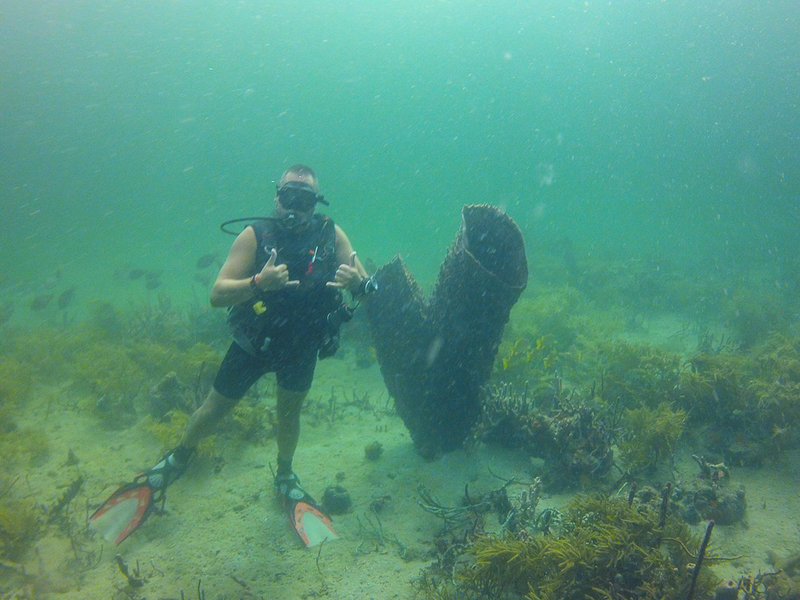 We did a nice relaxed drift dive then headed over to check out an old sunken barge. Not the most exciting wreck, but the coral and fish were fantastic. 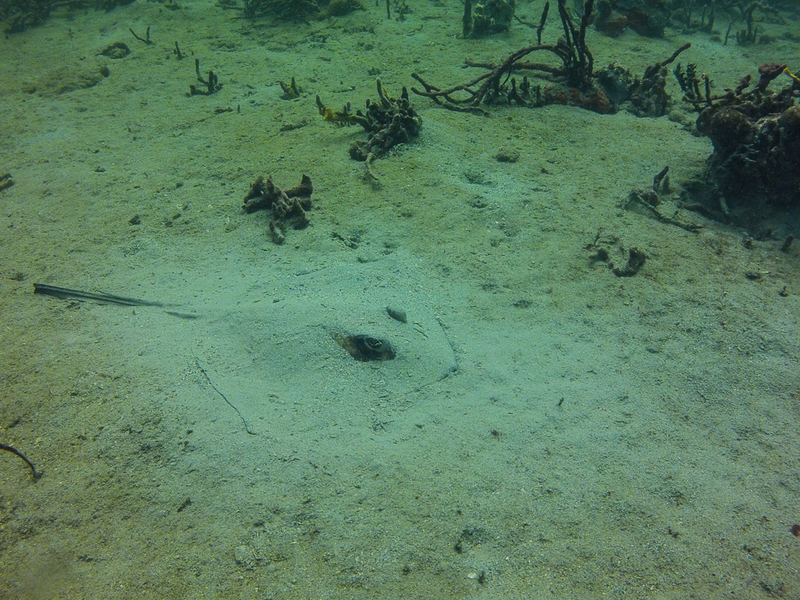 Starfish were everywhere in the shallower water near the Ferry Wreck dive site. I was able to put together a short video of our second day of diving, I hope you enjoy it. 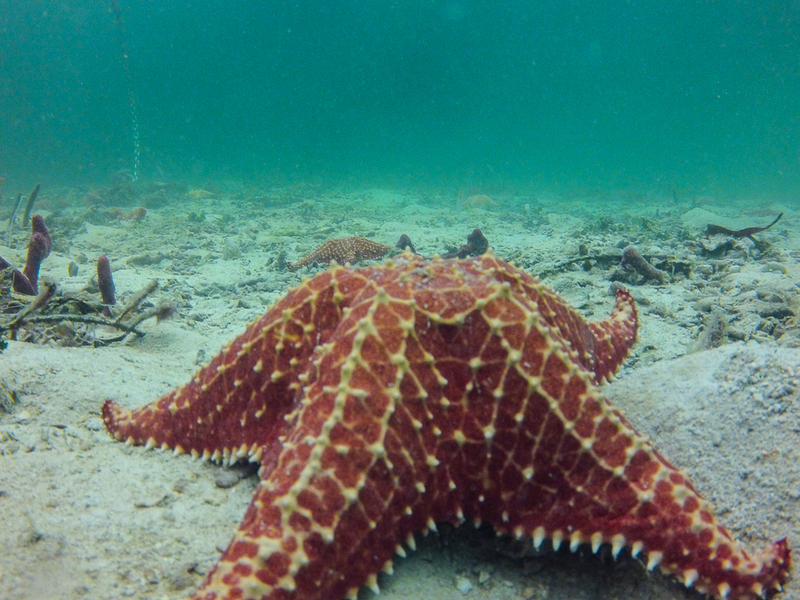 I would recommend making the effort to check out diving in Bocas del Toro if that is something you are in to. Warm water and good people help to make it a great experience. Karen getting ready to come aboard. End of a fantastic day of diving. Thank you for another beautiful dive! Well done. Gorgeous coral. What a spectacular world the ocean is. My pleasure. It is indeed an amazing world under the water. Great shots, especially enjoyed your video, more please. I started the New Year by breaking my right leg, been off since Jan. 1st, getting real boring, won’t be back until the end of February. Glad you liked it Lawrence. Another one coming soon. Hope you heal up properly. So does Judith making her crazy!